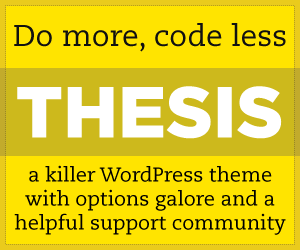 I’ve written quite a bit about the Thesis WordPress Theme here on this site, mainly because I use it for all of my sites and i can vouch that it’s a great theme – with great SEO and ease of use. In the past few months a lot of great new premium themes have been popping up that are really competing with Thesis, or in some cases even attempting to surpass it in ease of use. One great new theme that I discovered a while back, but that has made some great strides in recent months is the Dynamik Theme from Eric Hamm. I used the Dynamik Theme for one of my sites back in it’s 1.0 iteration, but at the time it didn’t have half of the features that the current 3.0 version does. I’ve been extremely impressed with the wide selection of features that the 3.0 version of the theme has including great SEO options, layout settings, content management system options and a ton more. I think it really could be one of the more impressive newer premium themes options available, and I urge everyone to give it a look. With frugal you’re giving your WordPress website a boost in SEO with In-Post/In-Page SEO options, along with full control over the layout of your many page titles, NoIndex/NoFollow options, Canonical URLs and much more! frugal is built off a framework design with many different hooks to give the user plenty of room to add custom content and grow as their website’s content requires it. With frugal, when it comes to dimensions, you’re just a few mouse clicks and keyboard strokes away from the width of your choosing. All of the many sidebars have width control, as well as the main content column. Your CMS Page Templates have their own set of sidebars that give you both layout (left sidebar, right sidebar, double sidebar and no sidebar) and sidebar widths. Continuing with the NO CODING mantra, frugal allows almost every aspect of adjustment for your fonts; all from your frugal Theme Options area. We’re talking FONT: type, size, color, link color, link hover color, weight, alignment, line-height and letter-spacing. Now that’s what I call FULL CONTROL!! frugal offers a WIDE ARRAY of CMS (content management system) options and page templates that give you all the flexibility you need to grow with your WordPress website. You’ll not only find a robust static homepage option to showcase your featured content, but you’ll enjoy the benefits of the multiple CMS Page Templates that house their very own sidebars and layout options. With the Static Homepage you can activate and customize a page that takes the homepage of your WordPress Website far beyond the latest posts or a simple static page. You’re given the ability to showcase latest posts, specified posts or posts by categories. Also show case a specific page and add content to many of the different homepage widgets. It even gets its very own sidebar! Check out this video giving some details of the theme, I think you’ll be impressed. Frugal WordPress Theme <-- Affiliate Link! Through 11/30/2009 get 20% off! For my mind the strongest competitor to Thesis right now is ATAHUALPA by bytesforall – we’ve used it many times. Some things don’t work as well as Thesis, but the 4 sidebar configuration beats Thesis any old day. Also their custom CSS is even easier to work with IMHO. 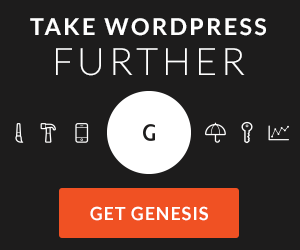 But that said, you get what you pay for – Atahualpa is free, therefore you really need to know what you’re doing to get best results (Although their support forums are pretty top notch) and Thesis has the kind of support and community you’d expect at that price level of WordPress customization. I’ve seen several friends using that theme, and they seem to like it. I don’t have any experience with it myself, but thanks for your feedback!